With the fire of newfound testimony, Ammon and his brethren leave Zarahemla to preach the gospel in Lamanite lands, carrying nothing but hunting weapons and the promises of God. Spotted by an enemy scout, they part ways in the dense jungle with hopes of reuniting at the close of their harvest. Ammon follows the Spirit to the borders of Ishmael, where he’s ambushed just seconds after spotting Elena, a fair-skinned woman who captures his interest. As Ammon gains reknown in the kingdom, he defends Elena from the advances of Gad, the loathsome widower she’ll soon be required to marry. Then swearing allegiance to the Lamanite king and trusting in the Lord, Ammon further proves his strength and devotion by sparing King Lamoni’s flocks from plunderers. The amazed king and his court are converted to the gospel through Ammon’s powerful teachings and the miraculous events that follow, but each action Ammon takes causes more and more disruption throughout the kingdom. And when Elena is abducted by her own brother and hidden away in an unspeakable place, Ammon faces his greatest struggle yet: not just the outward challenge of lethal combat but also the inward challenge of loving one’s enemy. Runtime 11 Hrs. 18 Min. Another great book by Heather Moore! 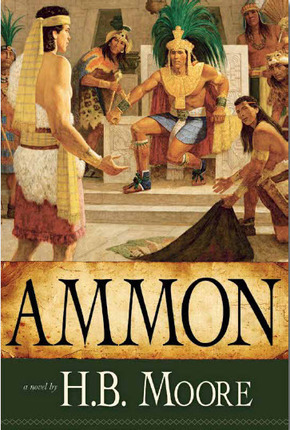 This book begins with Ammon and his brothers setting off on their missions to preach to the Lamanite people. I was hooked from page one. Even though I knew what was going to happen to Ammon, I was drawn into the book. The familiar story of Ammon protecting King Lamoni's sheep was suspenseful. I enjoyed this book because it made Ammon seem real. The author stays true to the scriptures but Ammon's interaction with the ficional characters gave me an idea of what life could have been like for him. Heather took the man who smote off the arms of rebels attacking the King's sheep and made him come alive for me. With rich details from the ancient American Mayan culture as well as inspiring every day heroes I absolutely loved Ammon. It's the story of the sons Mosiah- a Nephite king, who renounce their life of wealth and royalty to go into neighboring enemy territory. More particularly the book focuses on Ammon, as he travels into the land Ishmael to ask to be a servant to the Lamanite King Lamoni. Upon arrival Ammon meets a girl of fair skin and Nephite lineage, Elana, her father and brother Zaman. Elana's family are employed making and designing clothing for King Lamoni as well as the richer members of society. They have left the land of the birth and renounced their belief in the religion of their inheritance. Ammon and Elana's paths cross by chance and soon Ammon's life will prove to be threatened by several of those closest to Elana. Will he be able to survive the attacks? And will his and Elana pleas be answered in time to save that which is most precious to Elana? Readers experience the unraveling of adventure, courage and love from both Elana and Ammon's points of view. 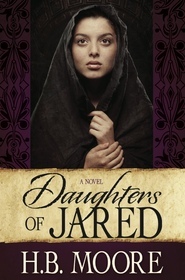 Ammon is historically based fiction but has plenty of action to keep male readers interested. The main thing that I carried away from the book was the humility and sincerity of the man Ammon as he faces so many obstacles. His unshakable belief in the mercy and deliverance of God are inspiring. I came away strengthened and more hopeful than I was when I began reading. Heather B Moore has a new fan! I can't wait to read all the other books in her series. Content: I would recommend Ammon to readers 16 and older because of the violence as well as the references to fertility rites. Just as great as the rest of the series! H.B. Moore's Book of Mormon series is my absolute favorite scripture fiction books ever. All of the books have helped me understand the scriptures in a new light. I love to read her books, then go back and read through the scripture account again and see how much better I get it all. H.B. Moore has an incredible talent! Her new book, Ammon, is just as awesome as the rest of the books in the series. There's action and even romance. (Yeah!) But most definitely, this book is about struggle - both physical and emotional. I was so involved in what was happening between everyone in the book, that it was difficult to put it down to go to bed. 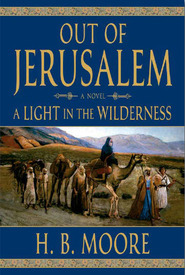 Ammon's story is complex and gripping, all the way through to the last page. One of the things I always find myself doing when I read the Book of Mormon is to imagine what was going on “behind the scenes.” Mormon’s abridgment is just that—a condensed version, a summation, a “Reader’s Digest” version, if you will. He simply wasn’t able to write every little thing into his account. Mormon included the most important events and lessons that could be learned therefrom into his abridgment. The most natural consequence of such an abridgment is a series of gaps, such as: What were the people thinking and feeling? What was everyday life like? What did people eat, wear, or do for recreation? Filling in such gaps in my mind helps the Book of Mormon come more and more alive for me each time I read it. Heather B. Moore’s retelling of the story of Ammon and King Lamoni in her book, Ammon, helps to fill in such gaps in a wonderfully realistic manner. Moore brings new life to an already vivid and powerful story by giving more depth and dimension to the relationships between Ammon and his brothers. Moore reminds us that though the sons of Mosiah were Nephite princes—children of wealth and privilege—they were, after all, brothers. I appreciated the way Moore was able to give Ammon and his brothers unique voices and personalities, thus helping me to visualize them better than I ever have before. Her descriptions and dialogue lend a depth and richness that further enhances the story. Likewise, the fictional characters that Moore has created each feel unique and fully realized. There are no cardboard cut outs nor cheap stage masks being worn here by stand-ins. This is especially true of the character of Elena, a young Nephite woman who has been raised among the Lamanites, who becomes the love interest of Ammon. Elena is a strongly written character, with a mind and attitude all her own. Elena never feels like the stereotypical “damsel in distress,” whose only purpose is to be pretty enough to win the eye of the hero. Indeed, Elena comes to Ammon’s aid and defense in the story, thus putting a nice twist on a common idea. Moore’s ability to seamlessly weave together the familiar narrative preserved in the book of Alma with her own imaginative take on the people and events is superb. It is evidence of the deep familiarity and love Moore clearly has for the source material in the Book of Mormon. Such familiarity can only come from one who has been reading the Book of Mormon for a very long time. 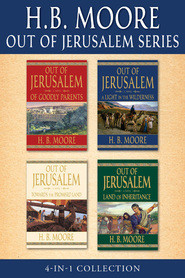 Moore’s knowledge of the people and places described in the Book of Mormon is demonstrated in her other works, including the excellent non-fiction exploration of Women in the Book of Mormon. Ammon is an engaging and gripping read, full of exciting action, tender romance, and poignant spirituality. It is a superb addition to Moore’s other works, and will enhance one’s study of the Book of Mormon. H. B. Moore succeeds at what she set out to do. In each of her novels Alma, Abinadi, Alma the Younger, and now Ammon, she has chosen four Nephite prophet-leaders whose sacrifices and inspired deeds that kept the faith of the Hebrews alive amid the excesses and atrocities of mesoamerican culture. Ammon, eldest son of Mosiah II and heir to the Nephite throne, is every little Mormon boy’s hero. Artist Arnold Friberg depicts him as a massive shirtless warrior wielding a sparkling sword in defense of the Lamanite king’s flocks at Sebus. In The Book of Mormon, Ammon’s story is covered in Alma 17-26. He was one of the hedonistic “sons of Mosiah” who caused trouble for the church along with Alma the Younger until they experienced a “road to Damascus” type experience. 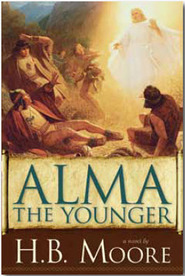 Young Alma was the main target of the angel’s rebuke, but Ammon and his brothers were also converted to the cause of truth by the experience. Afterward, not only did the changed Ammon renounce his claim to the Nephite throne, but he and his brothers felt inspired to set off on a preaching mission to the wild and pagan Lamanites. 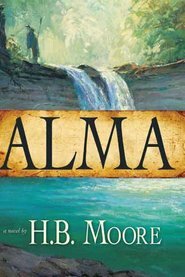 Ammon’s story to this point is covered by Moore in Alma the Younger, with Ammon as a secondary character. The narrative in Ammon picks up as the brothers are entering Lamanite territory and decide to split up to appear less threatening to a people who consider them ancestral enemies. Ammon is immediately captured and brought before King Lamoni, a junior ruler subject to his father, the High King. With patience and humility, Ammon eventually convinces Lamoni that he means no harm to his people and only wants to live among them and serve them. The crafty Lamoni, seeing a chance at a powerful political alliance, offers his daughter to Ammon, but the missionary has higher motives and refuses. This impresses Lamoni even more and earns his trust. Soon we find Ammon at the waters of Sebus, in the famous scene where he severs the arms of several marauders attempting to scatter the king’s flocks. This event raises Ammon to near godlike status among the Lamanites who witness it, and he succeeds in converting Lamoni and many of his people to the religion of the One True God. Later, as Ammon and Lamoni travel together to free Ammon’s brothers from prison in another sub-kingdom, they run into Lamoni’s father. The High King is outraged to find that his son is apparently being controlled by a Nephite. Again, Ammon’s physical strength and spiritual sensitivity combine to deliver the victory, and the High King is soon firmly in the camp of truth and righteousness. All of this is straight from the scriptural account, but what H.B. Moore adds is her informed speculation on what the chronicler (or compiler) may have left out. A blossoming romance between Ammon and an expatriate Nephite woman in Lamoni’s kingdom is entirely Moore’s creation. Sweet as it is, it left me wondering how things would have gone if Ammon had fallen for a Lamanite woman. Is the avoidance of an interracial relationship Moore’s idea, an edit imposed by her Church-0wned publisher, or the reflection of an ancient cultural taboo? That may be an interesting question, but kudos to Moore for developing a strong female character as a match for Ammon. Besides Lehi’s wife Sariah and Abish (one of the players in this story in a much-expanded role), women are barely mentioned in The Book of Mormon. Yet we know that these prophet-leaders had relationships and spouses, because they had so many descendants! Another aspect Moore develops from a dearth of information in the source material is the certain opposition Ammon and Lamoni would have faced in establishing their religion among a people steeped in the abominations of preclassical Mayan traditions (well-researched by Moore). She doesn’t shy away from human sacrifice or temple prostitution, and she makes the brother of Ammon’s love interest the principal antagonist. Again, Moore excels with the authenticity of her bad guys, an ability that really shined in Alma the Younger but is strong here as well. Not that I can sympathize with a guy who would abduct his own sister and have her imprisoned in a temple where he knew she would be ritually abused, but through Moore’s narrative I can at least comprehend his motivations in doing so. The climax of the novel has no basis in the scriptural account, which may reduce the impact for some, but is still satisfying and appropriate to the characters. Other readers might complain that Moore left out one of Ammon’s most dramatic moments, when some of his converts refuse to fight back against their enemies and are massacred (Alma 24), but that event doesn’t lend itself to a happy ending and its omission is understandable. The writing in Ammon is neither fancy, stylistic nor lyrical. That’s not a bad thing. It’s a straightforward telling of the story that despite the sometimes harrowing subject matter meets LDS standards for fiction. Moore knows how to keep the attention off her writing and on her characters. Minimal verbiage is expended on descriptions of the settings, keeping the focus on people (albeit people in a fascinating milieu) and the spiritual impact of actions and relationships. Make no mistake, this is fiction written with a religious purpose, and the result is uplifting and faith-affirming. 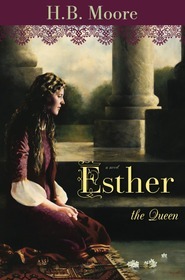 Highly recommended to readers of LDS fiction of any genre, even more so to young adults looking for a little romance and strong portrayals of their scriptural heroes. I sincerely hope Moore continues with this series, as I would love to see the lives of Nephi (the Apostle), Helaman, Mormon and Moroni given the same caring fictional treatment. I finished the book today and it was wonderful!! I love the imagery and the peaceful feelings I had reading this book. We have been going through some decision making moments recently and I really need a book to take me out of my world and into another while bring the spirit. I loved the Ammon that is portrayed in this book, he comes in peace but is not a wimp, he is mighty but not proud- the perfect image of a missionary. I am excited to have this on my shelf and look forward to reading and re-reading this book over and over. "We shall yet have Miltons and Shakespeares of our own." This statement quoted by President Packer in a fireside on February 1, 1976, and later printed in the Ensign, was made by Orson F. Whitney in the early days of the Church. President Packer was voicing his disappointment in the artists, writers, and musicians of that day (1976) who were clearly not using their talents to aspire to this goal. I have kept that statement close to me as I have written all my books, hoping someday someone would stand on my shoulders and reach this exalted position. As I read H.B. Moore’s latest book, Ammon, I suddenly realized that that day has arrived. Before you take issue with me on this weighty matter, remember two things. What was the greatest criticism of Shakespeare? That he never wrote anything original. All his plots were derived from legend, history, or myths. What Shakespeare did that earned him the title of “the bard for the ages,” was that he likened these stories to human experience. He drew out of them insights and conflicts that were very accessible to the human mind, not only in his day, but in all the days until the present time. Shakespeare put you in the story and made you face its conflicts. In so doing, he gave these stories a kind of immortality. He gave us heroes and villains with faces, bodies, parts, and passions. And what of Milton? Didn’t he take his work directly from the Gospel as he knew and understood it? Didn’t he make us participators in his perception of eternal progression? Like Shakespeare, he likened his writings unto us, his readers, so that we could participate as fully as possible in the choices involved in the human drama that is mortality. Moore does exactly the same thing with Ammon, that great, towering hero of the Book of Mormon. She has written many other books about the heroes of this scripture, but never with the flesh and blood immediacy of Ammon. The way she has accomplished this is by taking what is written, and just as Shakespeare did, studying the brief information to envision unwritten personal reactions, consequences, complications, tests of faith, and all manner of things that might have resulted from the miracles and testimony which Ammon bore to his deadly enemies. For instance, what do you imagine was the fate of those who were scattering King Lamoni’s flocks? How did they react to the deaths of their comrades? Who exactly were they? Do you imagine they would have been converted by Ammon’s preaching? What about all the priests and priestesses of the existing temples built to idols? The priests lived off the people. Do you imagine they would have been easily converted? What would have been the position of King Lamoni himself in regards to his people? Wouldn’t have he had to give up his reign as a virtual dictator in order to allow freedom of religion? What would he and Ammon have done if they were opposed by armed and dangerous rebels who refused to be converted by a Nephite? How would the common man have reacted to accusations that Ammon was only there to create political unrest, so that they might be weakened in the eventuality of a Nephite attack? Would Ammon have fallen in love? How would this have complicated his missionary labors? I can almost guarantee that if one puts ones mind to the seemingly simple, heroic story given in the scriptures, one will find many, many consequences and possible story lines to follow. One of the looming, almost insurmountable differences between most of us and H.B. Moore is that we don’t know what she knows about life at that time. With Moore’s capabilities as an historian and a storyteller, the world of the Book of Mormon opens up like a 3-D movie. The smallest detail of life in that age is portrayed with a mastery that makes it seem unremarkable. Her details don’t shout “look what I know,” but rather slip into the story naturally and almost unnoticed. This is a phenomenal achievement. As for the storytelling, Shakespeare couldn’t have done better! The suspense that builds through the story between Ammon and the unbelievers and that culminates in their capture of his beloved is stellar. Here is a story you know, and yet Moore endows it with natural consequences and elements that seem absolutely real. You all know the ending, and yet, I promise you, this masterful work will keep you up past your bedtime. After reading this book, you will realize that Ammon had to have been a much greater hero than the “superman” who lopped off the arms of the rebels at the waters of Sebus! In terms of President Packer’s plea for this kind of literature, I hope we LDS writers will all take a lesson from Moore in writing to the greatest measure of our talent and using that talent to help people liken heroes, even everyday heroes, to themselves. There is great comfort and a blessed peace in knowing the things we know because of the Gospel. Even though it is more politically correct to write about the ills of society, let us celebrate the triumph of the Spirit! And what of those of us who are not writers? What lesson can we take from this fulfillment of Elder Whitney’s prophesy? I truly believe it is what the Lord has demonstrated again and again. I know H.B. Moore. I hope she will not be uncomfortable with my revelation of the fact that she is first and foremost a wife and a mother. In fact, she has quite a handful of very active children. She never misses a game (and they are an athletic crew). Her husband and children are always her first concern. Not an ivory tower writer with a powerful literary agenda, she lives, outwardly at least, a normal life. However, she has a date with the Spirit every morning at five a.m., when she sits down to write. Those few hours that she has to create her stories are magnified. The Lord is there to give her what she needs to do this particular mission in the limited time she has. H.B. Moore is a mother and a wife. In the time she wrests from hours when others are sleeping, she is also a masterful writer. Once again, the Lord has taken a seemingly ordinary being and helped her to accomplish great things. 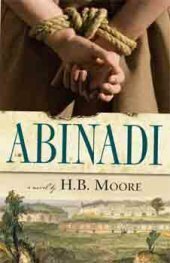 HB Moore has taken the story of Ammon the missionary and created a novel that helps the reader see what might have actually happened. Through well-documented research Moore has tried to present the story of Ammon in a way that makes sense as a possible reality. Ammon and the other characters are brought to life through Moore's storytelling ability. The conflicts and complexities of what Ammon may have gone through are developed through Moore's writing. It is easy to visualize what life would have been like during the time of Ammon. The message of Ammon's story remains true to its source and allows the reader to think about a possible reality for the young man and his mission.